Xenoblade Chronicles 3D is ranked in the 95th percentile of games scored on OpenCritic. It is, without a doubt, one of the largest and most spectacular RPG available now on the Nintendo 3DS. Xenoblade Chronicles belongs to one of three titles that gamers have fought to bring over to the US, and feels like a crowning achievement to have actually succeeded. When it debuted on the Wii on 2012, it surprised a lot of gamers with its forward thinking mechanics, a relatively fun combat system, some extremely deep gameplay systems, and its sense of scale. This was easily one of the biggest JRPGs on a console that was an entire generation behind, and it delivered on nearly all fronts. Fast forward to 2015, with the release of an updated 3DS model which adds some extra processing power and Xenoblade Chronicles 3D being the system's first exclusive game, utilizing that power, and you have the perfect reason to either dive back into this fantastic game, or perhaps experience for the first time. This is a great game, and you should absolutely snag it if you like huge JRPGs and own a New Nintendo 3DS. At its core, Xenoblade Chronicles 3D is just as good as the original release. Those that missed out on the chance to play through the Wii version will love the incredible world of Xenoblade, the masterfully told story, and the engaging combat system. Xenoblade Chronicles 3D brings to the New 3DS what was one of the best games released for the Wii in all its JRPG glory. While some technical aspects are clearly downgraded, this does not affect the overall experience of the game and with an enormous gameplay and world to explore, this Xenoblade port is an excellent opportunity for newcomers. But everything is something you might want to do in this game, as it is all so much fun to discover. Combat manages to stay fresh over the 50-60 minimum hours required to finish the story, and the story is great at carrying you through any lulls. Xenoblade Chronicles 3D might not be the best version of this modern-day classic, but it's a satisfactory way to play one of the boldest, biggest games in recent memory. I wasn't sure if the transition would succeed, but this port is just as impressive and fun as the original Wii release, so anyone who decides to first experience Xenoblade here won't miss a beat. However, the only way to truly experience this breathtaking title is to experience it for yourself. And now with this New 3DS version, said experience has gotten a whole lot easier. "Wii masterpiece looks almost as good on New 3DS,"
If you don't have any of the Wii consoles, and you're interested in seeing what all the fuss is about, then I can't recommend this highly enough. Most gamers can expect over 80 hours of gametime, fantastic characters and voice-acting and some of the best graphics seen on a Nintendo handheld. Whether you buy this for your home console or your New 3DS, it's one of the better JRPGs to have launched in the last few years. "Epic" is a criminally overused word these days, but Xenoblade Chronicles deserves no other descriptor. This existential saga of man vs. machine is finally available to the masses and on a portable to boot, with some graphical sacrifices. If you have a couple hundred hours to kill, I can think of few better ways to do it than with this JRPG masterpiece. Tetsuya Takahashi and his team at Monolith Soft put a lot of passion and care into Xenoblade Chronicles and Monster Games has done a phenomenal job porting it to the New Nintendo 3DS platform. The journey that Shulk takes is a very well-told classic tale of a hero's journey and it's filled with a cast of memorable and likeable characters. Xenoblade Chronicles 3D is a complete package from beginning to end, wrapped around a very deep and intricate combat system that has a lot of potential for those who like a bit of thinking in their fights. For such a huge and long game, there is very little fat or filler since the adventure has all kinds of conveniences to never waste time. It is loaded with detail and heart for every character, while introducing some original ideas of its own. 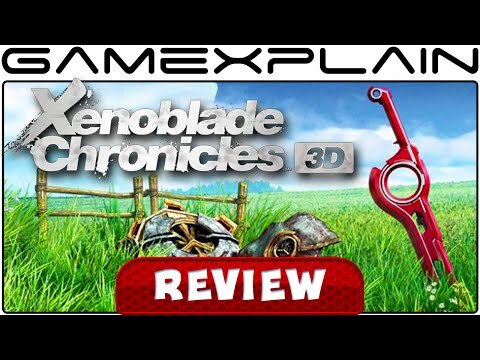 Is Xenoblade Chronicles 3D perfect? 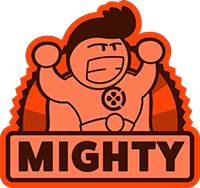 Almost - it's held back by a few lacking visual flourishes and some examples of goofy animation, and for a port it could have had some other substantial additions, as well as flaccid use of 3D. One of the most engrossing titles of the eighth generation is back and is now the most engrossing game on a portable platform. Xenoblade Chronicles 3D is a high-quality port of one of the Wii's most demanding yet brilliant experiences. A sizeable and stunningly diverse world, full of wildlife and fantastical cultures, is admirably recreated for the small screens of the New Nintendo 3DS. Its natural home may be on the TV, but this release gives more gamers an opportunity to set off on a lengthy and dramatic adventure. A brilliant portable version of a true classic, fans of RPGs willing to commit themselves to the task of saving Bionis shouldn't hesitate to pick this up - it is, quite simply, the biggest world we've experienced on such small screens. Xenoblade Chronicles was an incredible experience on Wii and it has transitioned beautifully onto New 3DS. Some compression concessions were made in the process, but the underlying quality of the narrative, setting and mechanics ultimately mean the cosmetic blemishes make little difference. Once again cementing its status as a JRPG masterpiece, Xenoblade Chronicles 3D is a game you owe it to yourself to experience. You can go home again after all. Although muted, Xenoblade Chronicles 3D delivers mostly the same experience that playing the original Wii release would, with the small details suffering the most in transition. If you simply must play this version, it's a worthy port but playing the original release is the better option. Xenoblade Chronicles earned its cult status on the Wii, and the New 3DS version makes it much more widely available. Aside from a visual downgrade, the handheld port is worth your time. It's hard not to be impressed by Xenoblade Chronicles, not least because it's rekindled my long-dormant love for a genre of games I thought I'd never be interested in again. It's one of the best JRPGs in a generation, capable of inspiring wonder - and it fits in your hand. It may have been one of the Wii's swansongs but it's a great start for the New 3DS. Xenoblade Chronicles 3D is translated well from its big brother. While there is a drop in visuals, the gameplay design and delivery that make this JRPG great is still very much intact. The added 3D visuals, superb story and voice acting will make this game worth your time and effort. Very strong title to add to the Nintendo 3DS's library. Lots to do, pleasing gameplay, and decent visuals. Battle system is more than just an average RPG, has more complex elements that makes for some truly unique scenarios. Definitely deserves a purchase at some point but will require dedication and time to truly enjoy. This adaptation does a great job of importing that experience to the 3DS but does not do a lot to add to the original experience. While the New 3DS can't always do justice to what Monolith Soft originally created for their beloved Wii RPG, Xenoblade Chronicles 3D retains almost everything that made the game's original release great—while also making it far more accessible to a wider group of players. There's simply no other JRPG quite like it. Xenoblade Chronicles 3D doesn't really belong on the Nintendo 3DS. In fact, Nintendo would have been better off going the other way and doing a "HD" version for the Wii U in the lead up to the next Monolith Software release on that console. But, that aside, this is a classic game, and having that experience on the go is not a bad bonus reason to purchase the New Nintendo 3DS. As a game, Xenoblade is still one of the best JRPGs available in years, and on that front, any fan of the genre who's never played it should buy it immediately if there's a new 3DS in the house. As a port, however, it's a less than stellar job, and people spoiled on improved remasters of old games are in for an unpleasant surprise.